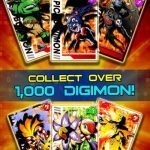 We’re back with more Animation Throwdown tips and tricks, and it’s proof not only of the popularity of Kongregate’s new iOS and Android TCG, but also proof that the game is very deep in nature, despite being more casual than the average trading card game. 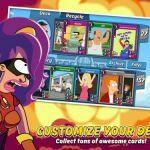 For those who are just learning about this game for the first time, this is a card battler where you can collect cards representing characters from five popular adult cartoons – Family Guy, Bob’s Burgers, Futurama, King of the Hill, and American Dad, and play through 25 chapters that feature scenes and locations from these shows’ episodes. Now some of the cards in this game are more powerful than others, and these are your rare cards and combo cards, for the most part. And that’s where our new guide comes in, as we shall be explaining below. As of the moment, there are 19 skills in the game, and these skills are typically assigned to the rare and combo cards. But what’s the deal with those skills, and how do they turn the tide and tweak your strategies? 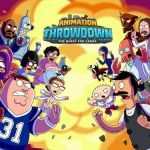 Join us now as we present to you our latest Animation Throwdown strategy guide, which specifically talks about those 19 skills and what’s in it for you if you use them. First of all, let’s talk about what skills do for you in Animation Throwdown. As we said above, they could help you in deciding your strategy, and with that in mind, you should look at the numbers next to the skills. Those numbers represent the effect of those skills; for example, if you see the number 2 next to the Boost icon, that means you’ll get a +2 boost to your attack once you play that card as part of a combo you’re chaining together. You may also see some cards that have an additional symbol, which is a star symbol, meaning skills of the card will only impact cards from the same cartoon. 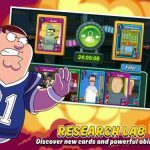 So if you see a Peter Griffin card with a star symbol, it will only affect cards corresponding to Family Guy. It’s as simple as that, though it does help a bit if you’ve got previous knowledge of most, if not all the shows represented in Animation Throwdown. Now that we’ve given you some general tips on how to interpret cards with skills, let’s get to those skills, as we shall be listing them in alphabetical order and showing you what they’re capable of once played. – Bomb cards deal out damage to any enemy cards next to the target. – Cards in combos get +Attack based on the number shown on a Boost card. – The opposite of Punch (see below) – boosts attack of one of your units at random, for one turn. – Works like Cheer, but boosts all friendly units’ attack for one turn. – When played, attack is boosted after dealing damage. – This card diminishes the attack of random enemies for the duration of one turn. – Similar to Cripple, but reduces attack of all enemies, also for one turn. – Adds extra damage to any cards that are attacked. – Adds more health to a damaged card. – Adds more health to all cards that are damaged. – An interesting card; this works by reducing damage-control effects while attacking. – Cards gain health after going on attack. – Adds extra attack to the cards to the left and the right of it. – This card deals out the specified amount of damage to any card that attacks it. – As simple as it sounds. Dishes out damage to a random enemy card. – When stringing together a combo, that combo will boost maximum health by the number of points corresponding to the number next to the icon. – Defends a friendly card (i.e. one of yours) from damage. – Defends all your cards from damage. – Blocks corresponding to the specified number when attacked. Need more tips and tricks for the game? Click here to check out our collection of Animation Throwdown hints.